Please fill out the form below to checkout a backdrop. 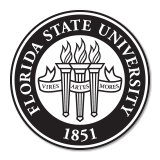 Currently, backdrops can only be checked out internally within Florida State University. If you are not affiliated with the university, we will not be able to fulfill your request.